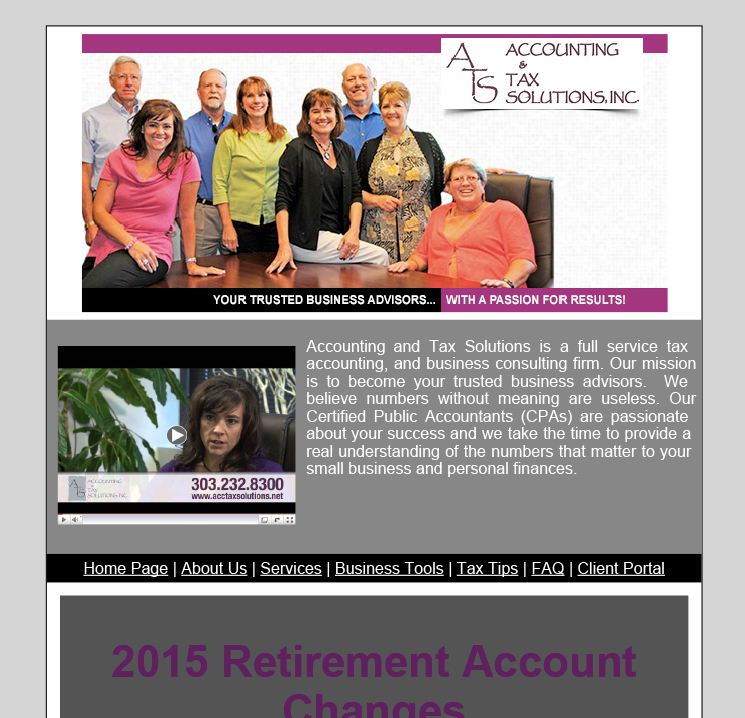 Retirement savers will have a new retirement account option in 2015. Investors will also be eligible to contribute $500 more to a 401(k) next year. Here’s a look at how retirement accounts will change in 2015. Introducing myRA. The Treasury will offer a new type of retirement account, the myRA, beginning in late 2014 that is guaranteed by the government to never lose value. Deposits will be made via payroll deduction, and accounts can be opened with an initial deposit of as little as $25 and then direct deposits of $5 or more each payday. But these accounts are not tied to your job and are portable if you change jobs. Savers with an annual income of less than $129,000 for individuals and $191,000 for couples will be eligible to participate. These new accounts “target low- and middle-income Americans who don’t currently have access to an employer-sponsored plan,” says Mikio Thomas, a senior tax analyst for the Internal Revenue Service.